Every year, the United States generates approximately 230 million tons of "trash"-about 4.6 pounds per person per day. Less than one-quarter of it is recycled; the rest is incinerated or buried in landfills. With a little forethought, we could reuse or recycle more than 70 percent of the landfilled waste, which includes valuable materials such as glass, metal, and paper. This would reduce the demand on virgin sources of these materials and eliminate potentially severe environmental, economic, and public health problems. They were contaminating groundwater. The water that flows beneath these deep holes is our drinking water. Once groundwater is contaminated, it is extremely expensive and difficult, and sometimes even impossible, to clean it up. Yes and no. 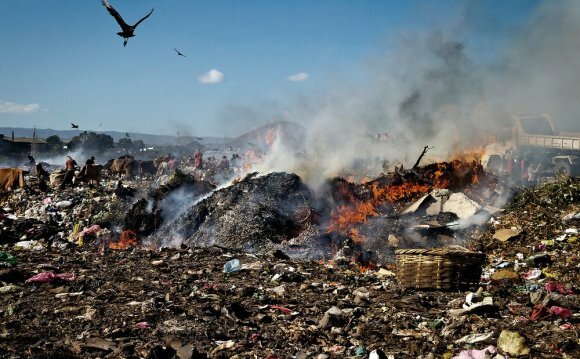 Incineration does generate energy, but at a cost-it may release toxins into the air and create ash that requires disposal in hazardous-waste landfills, and that takes us back to our starting point: Cities are running out of places to put their trash. Could We Pay Someone to Take It? Not likely. As our population grows, former outlying areas are becoming bedroom communities, and their residents mount stiff opposition to plans for expanding existing landfills or creating new ones, even in return for some perks. And as local and state government officials cope with the costs and problems of their own waste disposal, they are less willing to import other communities' waste and the pollution it generates. So where does this leave us? What is Waste management? definition?